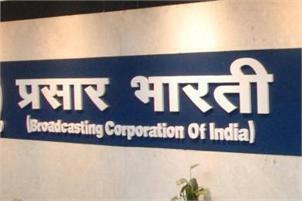 India's National broadcaster Prasar Bharati providing DD Direct Plus Free DTH services with 59 free to air channels. Recently Prasar Bharati announced e-auction for fill it's 6 vacant slots on it's platform which are going to be fill from 16th august 2013, although e-auction process going to be done on 13th august. From news source of PTI, public broadcaster is planning to increase the number of channels offered through it's free to air DTH Service, by auctioning them in a staggered manner.